Here’s what we think about the Zebronics Zeb-Style wireless foldable earphones. Bluetooth earphones are quite popular these days and we prefer them over the wired ones. These wireless earphones are quite convenient to use and are a boon to those who use smartphones without the 3.5mm headphone jack. 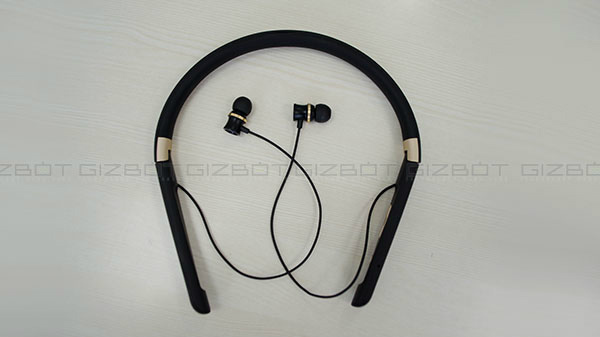 While there are several varieties of Bluetooth earphones in the market, Zebronics has come up with a new neckband style wireless earphones called Zeb-Style. Zebronics Zeb-Style is a wireless and foldable earphones priced at Rs. 1,399. It comes with ample features including dual pairing and voice assistant support (supporting Google Assistant and Siri). Here we have come up with a review of this wireless earphones. Do check out the same if you are looking forward to buy a pair of wireless earphones. Zebronics Zeb-Style comes with a comfortable and foldable neckband design. It features a rubberized finish and metallic gold accents and buttons. The device comes in several colors but we have the black color variant for the review. While the previous offering from the company - the Zeb-Journey came with a flexible neckband design, this one has a foldable design. The sides of the neckband can be folded inwards when not in use. Talking about the earbuds, even these have the golden accents and are quite comfortable to use, even while using for longer duration. The magnetic earbuds offer enough sound isolation at this price point making it a good choice for those who are on a tight budget. When it comes to the controls, there are physical controls for the power on/off and volume +/- at the left of the neckband. Also, there is a USB charging port with a protective flap. A long press of the power button will activate the voice assistant provided the necessary permissions are enabled on your smartphone. During our usage, we found the Zeb-Style to be quite comfortable to use. We did not have to adjust the earbuds every now and then. But the one thing that has to be noted is that on wearing for a long time, the neckband moves towards one side but it should be fine for most users who do not use it during their workout sessions. To pair your smartphone with this wireless earphones from Zebronics, you just have to turn on the Bluetooth on your smartphone and press and hold the power button on the wireless earphones. You will see the blue LED light blinking on the neckband next to the power button. Now, search for the nearby Bluetooth devices on your smartphone and choose the Zeb-Style to establish a connection between the smartphone and earphones. Notably, like many other wireless earphones and speakers, this one also offers dual pairing support. With this feature, you can pair two smartphones to this earphones at the same time. When it comes to the performance sector, this Zebronics wireless and foldable earphones offers a decent performance for its pricing. Its audio output is quite high and there is no distortion even when we raised the volume levels to maximum. We also used it to make and answer calls (possible by pressing the power button) and we should say that the voice of the person at the other end of the line is quite clear. 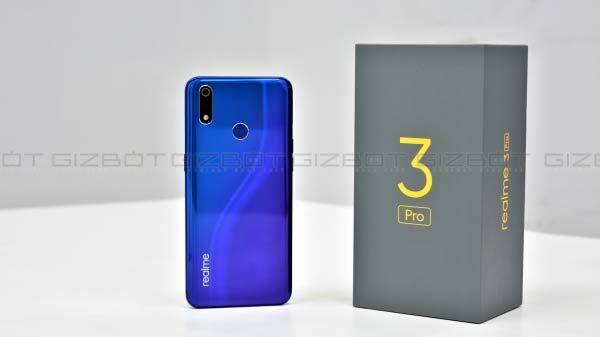 Though it offers a decent performance, the one thing that we missed is the punch and bass that we get to experience with the expensive offerings in the market. So, users who are actually looking out for the best experience from a wireless earphones should be ready to spend more to get that feel. As mentioned above, there is support for Google Assistant and Siri voice assistants. This means that this wireless earphones works with both Android and iOS devices. With this voice assistant support, it is possible to initiate actions just with your voice, which makes it convenient to use. Zebronics Zeb-Style has an inbuilt battery touted to deliver 6.5 hours of playback time and 2 to 3 days of standby time. We used it for nearly 5 hours before getting the low battery notification. It has to be plugged in to the charge for 2 hours to get charged completely. Given that the previous products from the brand offers a longer battery life, a longer backup would have been appreciated though the pricing of this earphones is affordable. To summarize, the Zebronics Zeb-Style is one of the cheapest Bluetooth earphones available in the market right now. It has an array of features that will quench the needs of the budget buyers. But there are a few downsides to it. It will be a good buy for those who want to experience wireless earphones without shelling out a lot of money. On the whole, it is definitely worth every penny you spend.